It has not been an easy year for cryptocurrencies by any means. Despite reaching all-time highs about a year ago, plenty of things have changed ever since. These developments are quite apparent when looking at the current EOS price. Its losses continue to pile up, and there is still doubt as to whether $1.75 will be the next stable support level. On the hourly chart, most cryptocurrencies show signs of an impending rebound. That is promising first and foremost, but it may not necessarily yield any real successes in the coming hours. In the case of EOS, there is virtually nothing to be positive about, at least where the price is concerned. Its value continues to plummet, and things may not improve anytime soon either. Over the past 24 hours, there has been another 10% EOS price decline in USD value. Additionally, the once hyped-up altcoin lost over 5% in Bitcoin value, which only compounds its problems right now. Until this altcoin can regain lost value in Bitcoin, an uptrend in USD value seems out of the question. Even with Bitcoin regaining value, EOS may not necessarily follow this trend. There are some interesting developments happening behind the scenes which may impact the EOS price in a positive manner. First of all, there is the EOSex platform, which is built on EOS technology. It is a new exchange model which will empower users in many different ways. Definitely, something to look forward to, despite the ICO aspect. Secondly, it would appear more stablecoin gateways are coming for EOS, as well as a few other altcoins and assets. Binance has confirmed EOS can now be traded against TUSD, which is quickly becoming the biggest competitor to USDT. As such, it is possible there will be some additional liquidity for EOS moving forward, although nothing has been set in stone just yet. RT TrustToken "#XRP/TUSD, #XLM/TUSD, and #EOS/TUSD are now trading live on Binance, with markets priced in TrueUSD. BTC, ETH, and BNB listing times have not yet been announced. Start trading the markets here: https://t.co/HEWzne2j99"
When looking at the EOS price from a technical perspective, it would seem things could get very interesting in the near future. Although starting at 15-minute candlesticks has never done anyone any good, it still shows bullish momentum is brewing. That momentum can always be snuffed out like a candle though. As is always the case in the cryptocurrency industry, gains never tend to stick around for very long. In fact, it would appear there is a good chance this temporary bounce will result in an even bigger dip moving forward. 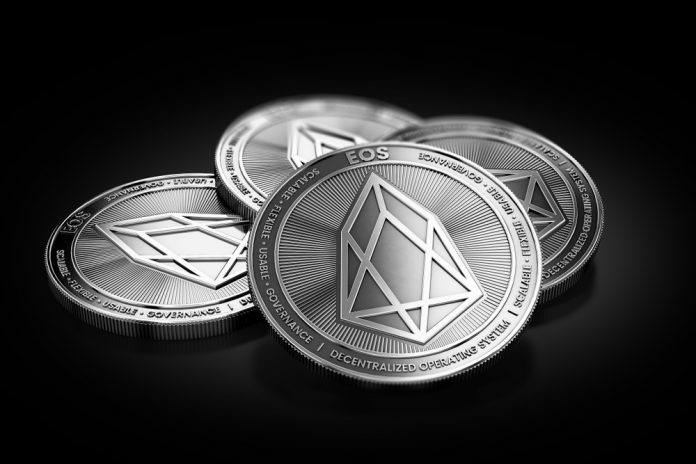 Assuming that is the outcome, there is a good chance the EOS price will drop to $1.75 and potentially lower in the coming days. The weekend is usually not a fun period for altcoins.